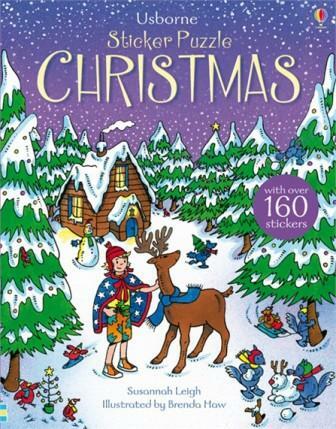 Great portable christmas fun in this beautifully illustrated Usborne sticker puzzle book. 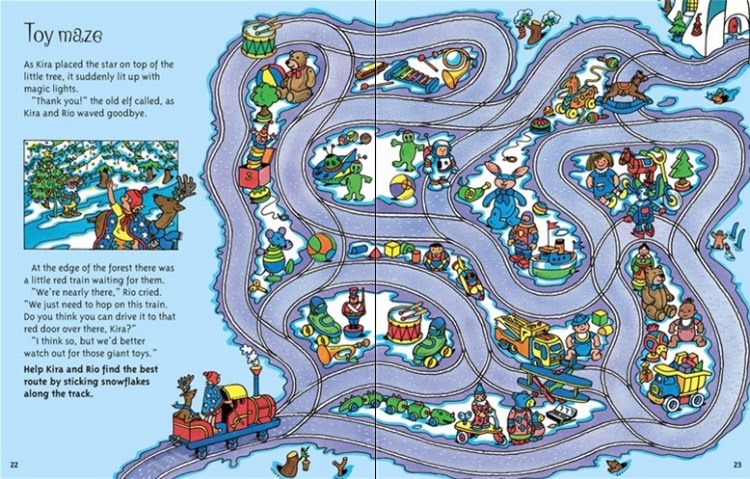 Help Kira and Rio’s adventure by sticking snowshoes onto cracked ice, finding the route through a toy maze and decorating Santa’s workshop. 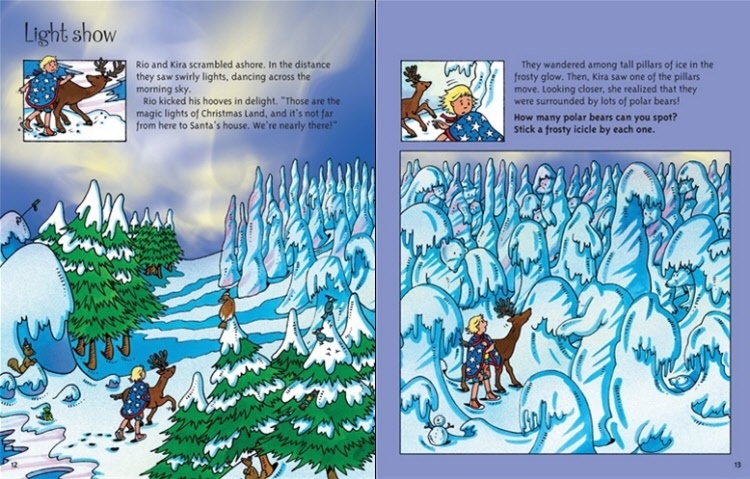 On a day at the beach, Kira meets Rio, Santa’s littlest reindeer... Can she help him get back home in time to pull Santa’s sleigh on Christmas Eve? 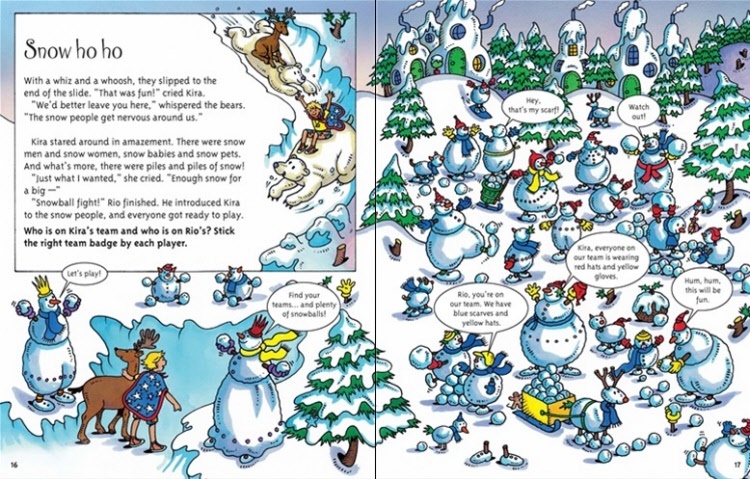 Kids can take part in the adventure with lots of stories, puzzles and over 160 colourful stickers of polar bears, snowflakes, Christmas trees and more! Answers and stickers are at the back of the book.